All Eyes on Alexandra is available to purchase on Amazon, Barnes and Noble, Target, Thrift Books, and IndieBound. To win a copy of the book All Eyes on Alexandra by Anna Levine, with illustrations by Chiara Pasqualotto, please enter via Rafflecopter at the bottom of this post. Giveaway ends on December 10th at 12AM EST. We will announce the winner the same day on the Rafflecopter widget. Good luck! WOW: First of all, congratulations on your book All Eyes on Alexandra. In an interview with The Whole Megillah, I loved reading about how you came upon the idea for All Eyes on Alexandra. Can you tell our readers about that experience that inspired this book? Anna: Sometimes I get so caught up in life’s routine, that I stop seeing the world I live in. When that happens, I realize it’s time to get away, to see, paraphrasing Marcel Proust, ‘the familiar with new eyes.’ There’s a bed and breakfast in the port of Acre (where Napoleon was defeated in 1799) owned by Evan Fallenberg, a writer and a friend. The first evening he invited all the guests up to the roof to join him for a spectacle he promised would impress us. At 6:00 in the evening I climbed up on the roof of the hostel with Evan, his son, two translators from Germany, a writer and her husband, a couple from Paris with two rambunctious young children and a friend of mine who’d come to visit. As the Muezzin sounded over the loudspeakers, calling the religious to prayer, the birds on their way south began to gather above. At first there was only a handful. Gradually, the cloudless evening sky filled, in what can only be described as a Hitchcock-like flock of thousands of beating wings circling above, turning the sky into a dark thrashing cloud. The swallows landed on electricity wires strewn haphazardly between the closely crowded buildings. We watched as they perched, settling in for the night, nudging the ones beside them to move and make room, hinting at an unknown hierarchy of who had rank to the better spot, as they nudged off fledglings to stake their claim. It was while watching these birds that I first imagined Alexandra, a bird who was part of a flock who at the same time wanted to assert her individuality. The next day, I was reluctant to leave Evan’s artist haven, a tribute to what can be achieved when a dream is pursued with the right balance of love and respect to the world it inhabits. His deference to his neighbors, their acceptance and regard for him and his enclave, is a living example of what co-existence can look like. The experience took root in my imagination. Our motley crew on the roof, were like the birds from all over who flock together and live, albeit noisily, but in harmony. WOW: What an incredible scene you've described! So, what type of research did you do for this book? Was there anything you were surprised to learn? Anna: Reading and interviewing specialists in the field is always how I approach researching the topics I write about. But for me, the most important part is the hands-on experience. A few miles from my house is the Jerusalem Bird Observatory. I reached out to the researchers who explained the global network that exists between ornithologists all over the world. As birds stop by the observatory (which is a little urban refuge safe from predators and the craziness of city life) the researchers weigh, examine and tag the birds before releasing them back into nature. Ornithologists across the world share the information as they follow these birds-without-borders who visit different countries without regard for political or geographical boundaries. Speaking with the researchers and watching them work was an integral part of the process. Hula Valley, where millions of birds stop to rest and refuel before continuing on to Africa, is about a three hour drive from where I live. I drove up to the park and got a little cabin on the mountain which overlooks the Hula Valley Lake. Sunrise and sunset are the best time to see the birds in action. Though I knew what to look for, I was astounded by what I heard. The noise! The birds are a honking, hollering, hooting flock! Rock concert fans are a quiet bunch beside these millions of birds who all want to have a say. It is a cacophony of sound and sight that is truly mind-boggling. WOW: I can just imagine how noisy those birds must be! I loved the artwork of this picture book. Were you involved at all in the process or work with the artist in any way? Anna: I remember how surprised I was when I started writing picture books to learn that editors do not encourage communication between writers and illustrators. I realized though, that the illustrators need to imagine the text without being told what’s in the writer’s mind. When I saw Chiara Pasqualott’s illustrations, my heart soared. Her talent breathes life into the text giving the birds human traits while staying true to their natural characteristics. It was important for Chiara to keep the birds as lifelike as possible. The challenge then, was how to single out Alexandra from the other cranes. Chiara chose to tie a string around Alexandra’s neck. A red string. Unbeknownst to Chiara, there is a Jewish folk custom often associated with followers of Kabbalah, who tie a red string, a kind of talisman, around their wrist as a way to protect against the evil eye. This experience made me believe that the writer needs to trust the artist’s vision. WOW: I love how that worked out with you and your illustrator! You seemed to share the same vision for the book. So, this is obviously not your first book. You have quite the collection of books you have published for young readers. Do you have any advice for writers interested in publishing books for a young audience? Anna: I love writing children’s books. For my series on a young girl who dreams of being an archaeologist, I pulled on my boots, jeans, old t-shirt, sunhat and joined a group of diggers. For my first YA book, Running on Eggs, I hit the paths that looped and wound around the fields where I was living at the time. For Freefall – okay, I didn’t jump from a plane, but I did drive out to greet the jumpers as they landed. There is something about children’s literature which challenges the writer to translate experiences in a way that captures it through all the senses. My advice is probably already instinctively sensed by any author who chooses to write for children: find the enthusiasm for seeing the world through a child’s eyes. Get down on your knees, wiggle through a cave, lay on your back or stare up at the clouds. Tap into your inner child. Have a blast! "Find the enthusiasm for seeing the world through a child’s eyes. Get down on your knees, wiggle through a cave, lay on your back or stare up at the clouds. Tap into your inner child." WOW: That is an excellent tip! What do you hope young readers take away from reading this book? Anna: In my ideal vision, I see the child and their reader curled up and sharing a moment of closeness. While I would love for the child to take away the importance of being a ‘family’ (in the many different interpretations of the word), and having people who care for him or her, at the same time I’d like the child to recognize of his or her unique spirit. Understanding that being different is special and that there is someone out there who will encourage and appreciate their creativity. WOW: I love that message you hope children take away from this book! What does a typical day of writing look like for you? Anna: It really depends where I am in the process and what I’m working on. If I’m working on a new picture book, I start my writing day the night before reading poetry (Billy Collins is one of my favorites). Poetry gets my mind thinking in images with a greater sensitivity to rhythms and rhyme. If I’m working on a longer project, and if my house is full, I have to run away. I have a favorite café where I work that was actually once a cowshed but has since been renovated. The chatter of people at a café, the sound of coffee being ground and prepared is the perfect background noise for me (where no one needs me to prepare lunch, or asks where I’ve put something). Sometimes I bring my computer, but as I get close to the end I like to work off a hard copy. My eye catches errors on paper that I seem to gloss over when working off a screen. When I’m starting on a longer novel, I give myself a daily word count (somewhere between 1,000-2,000 words). My writing day is not over until I’ve reached my goal. WOW: That cafe sounds amazing! What does your writing space look like? What surrounds you as you write? Anna: When I’m not at the café, I work in my small office. It’s a bit crowded. A piano takes up all of one wall. During winter, I have to store my bike inside so it’s there too. Poetry books, fiction, non-fiction, dictionaries and a few different thesauri. When I first started writing, I published quite a bit in children’s magazines. To encourage myself, or remind myself (because rejection letters are part of the process but can get discouraging) I bought small glass frames and every time a story came out I would frame the cover page and put it up on my wall. So along the walls of my office are many of my early published pieces. I’ve also bought some of the original pieces from the illustrators who created the art for my stories. Am still deciding which piece I’d like from All Eyes on Alexandra, they’re all so beautiful it’s hard to choose. "To encourage myself, or remind myself (because rejection letters are part of the process but can get discouraging) I bought small glass frames and every time a story came out I would frame the cover page and put it up on my wall." WOW: Oh I love that you surround yourself with original pieces! So, what are you working on now? What is next for you? Anna: This month, a middle-grade novel I wrote based on the Scouts, just came out with a new press, PJ Ourway (Scouts Honor and the Cave of Courage). I’m hoping that the young readers will enjoy it and if so I have a sequel in the making. I love reading series. I was a Nancy Drew, Hardy Boys, Babysitters Club fan as a kid and now as an adult, if I start the first book in a series, I have to read them all. Presently, I have an adult cozy that’s in submission. Of course, I’ve already started plotting the next one in the series. WOW: Thank you so much for chatting with us today! Best of luck to your future projects and best of luck on your tour! What goes better in the morning than a muffin? Make sure you visit WOW's blog today and read an interview with the author and enter for a chance to win a copy of the book All Eyes on Alexandra. Visit Cassandra's blog where she shares her thoughts about Anna Levine's picture book All Eyes on Alexandra. 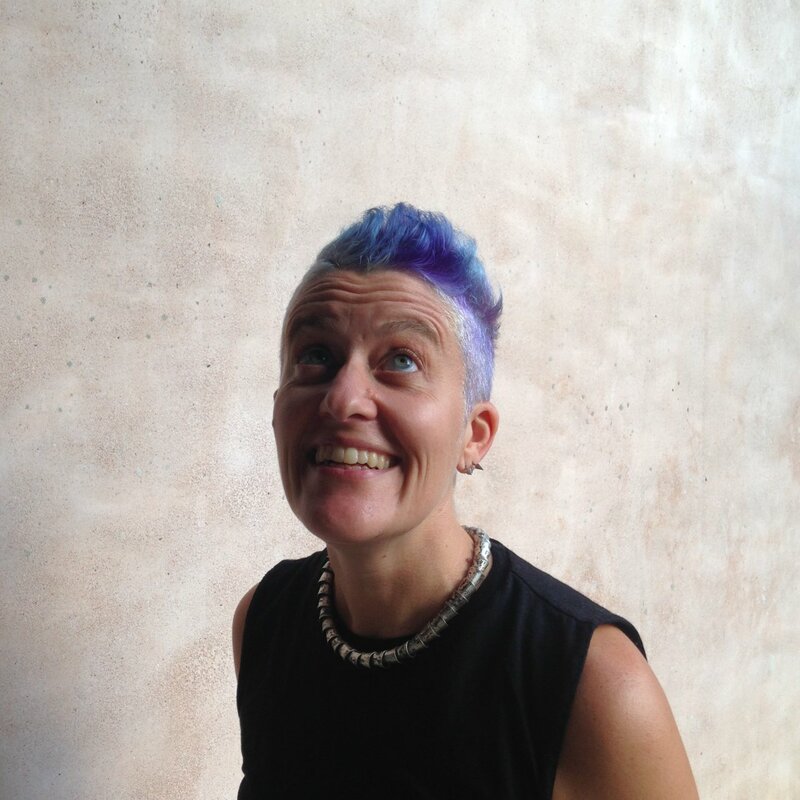 Visit Erik's blog where you can read Anna Levine's guest post about how to jog your inspiration. Grab some coffee and visit Lacey's blog where you can read her review of Anna Levine's picture book All Eyes on Alexandra. Visit Anthony Avina's blog today where he joins in the fun of celebrating and shares information about Anna Levine's book All Eyes on Alexandra. 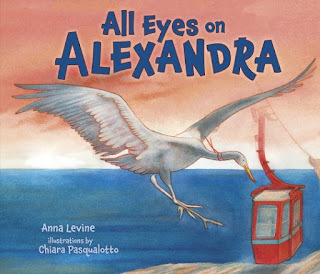 Visit Christy's blog and cozy up while you read her review of Anna Levine's picture book All Eyes on Alexandra. Visit Lacey's blog again where you can read Anna Levine's guest post about designing your ideal writing spot. Visit Christy's blog where you can read Anna Levine's blog post about how she decided to use crane's in her story. Visit Pamela's blog where you can read Anna Levine's guest post about how authors use anthropomorphic animals. Make sure you visit Jeanie's blog today and read her thoughts about Anna Levine's book All Eyes on Alexandra. Visit Anthony Avina's blog where he interviews Anna Levine, author of All Eyes on Alexandra. Make sure you visit Jeanie's blog today and read Anna Levine's guest post about building a theme day around a picture book. Visit Erin's blog where she shares her thoughts on Anna Levine's book All Eyes on Alexandra. 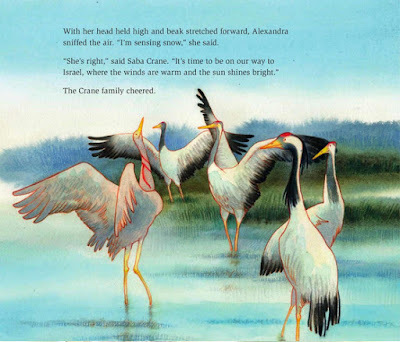 Be sure to visit Roberta's blog and read her review of Anna Levine's book All Eyes on Alexandra as well as read Anna's guest post about five fun bird-themed activities. Visit Roberta's blog today where Anna Levine's book All Eyes on Alexandra gets featured on the weekly STEM Friday post (Science, Technology, Engineering, and Math books!). Visit Deirdra's blog where she features Anna Levine's book All Eyes on Alexandra in a spotlight post. Stop by Nicole's blog today where you can read her review of Anna Levine's book All Eyes on Alexandra. Visit Erin's blog again where you can read Anna Levine's blog post featuring activities for young children to explore their world. Visit Cassandra's blog again where you can read Anna Levine's blog post about naming your characters. Make sure you visit Linda's blog today where you can read her thoughts about Anna Levine's book All Eyes on Alexandra. Visit Fiona's blog where you can read her review of Anna Levine's book All Eyes on Alexandra. Make sure you grab some lemonade and stop by Crystal's blog today where she reviews Anna Levine's book All Eyes on Alexandra. 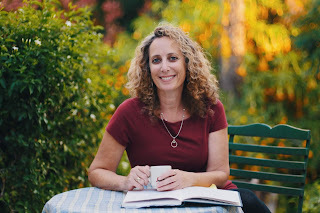 Visit Linda's blog again where you can read her interview with author Anna Levine. Visit Beverley's blog today you can read her review of Anna Levine's book All Eyes on Alexandra. Visit Wendi's blog and read Anna Levine's guest post on learning about families and different cultures. Visit author Anthony Avina's blog where he shares his thoughts about Anna Levine's picture book All Eyes on Alexandra. Visit Beverley's blog again where you can read Anna Levine's blog post about getting into the head of your middle-grade characters. 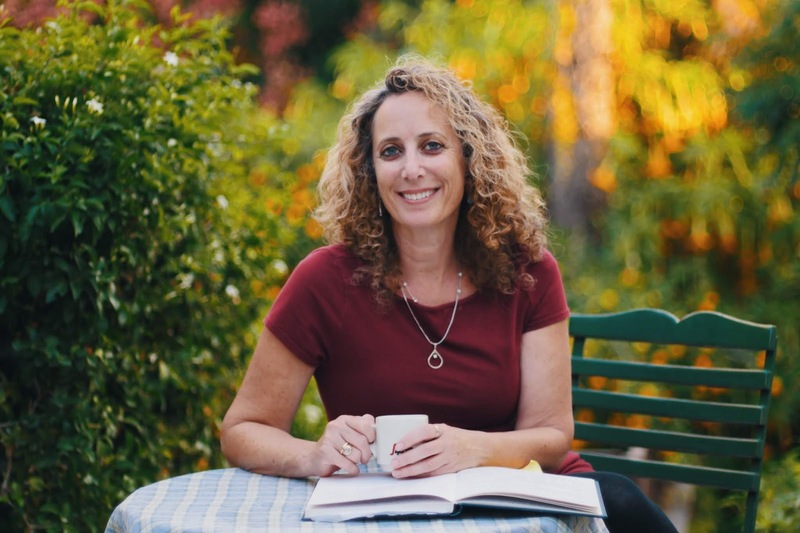 Visit author Anthony Avina's blog again where you can read Anna Levine's blog post about using fiction to write non-fiction. Visit Wendi's blog again where you can read her thoughts about the book All Eyes on Alexandra by Anna Levine. To win a copy of the book All Eyes on Alexandra by Anna Levine, with illustrations by Chiara Pasqualotto, please enter via Rafflecopter form below. Giveaway ends on December 10th at 12AM EST. We will announce the winner the same day on the Rafflecopter widget. Good luck! Nicole--Great interview. Thanks for doing this. I enjoyed getting a bit into Anna's head as a writer. Anna--This book sounds incredible. I am a middle school teacher--along with teaching a graduate class in the summer--and I use well-crafted picture books all the time to teach writing craft. I also love picture books because you can share a story with students or teach them about an era or a historical figure in a short amount of class time. Your comment of "I didn't jump from a plane," makes me encourage you to try it sometime (unless, of course, you are afraid of heights). I've skydived three times (always a tandem jump, so I was strapped to an instructor). It is the most exhilarating experience--to see sky above you and sky below you. Good luck with your future writing endeavors but it doesn't sound like you need luck. You're quite prolific. Anna ~ Your picture book looks absolutely gorgeous, in both illustrations and prose! I love that you based it on a true story, and your experience at the bed and breakfast is vivid. I'm actually inspired to try picture book form after reading your interview. I illustrated a series of young reader horse books about fifteen years ago when I was a full-time artist, but I've never considered writing a children's book. Chiara's illustrations are breathtaking, and the string around Alexandra's neck was a great idea to differentiate her. I love your message of the importance of family and encouraging creativity. I love the sound of this, looks sooo cute! These illustrations are really amazing. What an adventure and a great read for kids too! This would make a really nice Christmas gift. Looks like an exciting story that my niece would like to read. Thanks for sharing. Great interview. The book looks cute. I'm looking forward to adding this book to my son's collection. We currently do not have anything by this author or illustrator. @Sioux Roslawski thanks for your lovely comment...and encouraging me to 'take the leap' I will let you know if/when I do it! I also teach middle school and find that picture books are a fun and effective way of engaging my pupils. If you use Alexandra, would love to hear their thoughts. @Angela Thank you! Chiara is such a talented artist. I'm so glad you love her illustrations as much as I do. I encourage you to use your multi-talents (writing and illustrating) and try a picture book. Writing a picture book is like writing poetry and being able to enhance the text with illustrations is such a fun challenge. And yes, sometimes it makes me dizzy working on these different projects. Am really loving this blog tour...what a wonderful community! I love the illustrator! She looks positively enlightening! Awe how cute does this book love. Sounds wonderful. Looks like a great book. WOnderful giveaway. Great post and interview, this book looks and sounds like a great and cute childrens book. Thank you so much for sharing your awesome post. This book looks like a book my niece would love.